USE OF THE pill, even for just a few years, gives substantial long-term protection against endometrial (womb) cancer, new research has shown. According to a detailed re-analysis of all the available evidence, the longer the pill is used the greater the reduction in risk. Researchers from the Collaborative Group on Epidemiological Studies on Endometrial Cancer estimate that in the past 50 years (1965-2014) about 400,000 cases of endometrial cancer have been prevented by oral contraceptive use in high-income countries, including about 200,000 in the last decade (2005-2014). The latest findings have been published in The Lancet Oncology journal. Study author Professor Valerie Beral, from the University of Oxford, said: “The strong protective effect of oral contraceptives against endometrial cancer – which persists for decades after stopping the pill – means that women who use it when they are in their 20s or even younger continue to benefit into their 50s and older, when cancer becomes more common. People used to worry that the pill might cause cancer, but in the long term the pill reduces the risk of getting cancer. The researchers pooled data on 27,276 women with endometrial cancer in 36 studies from North America, Europe, Asia, Australia and South Africa — virtually all the epidemiological evidence ever collected on the effect of oral contraceptives. The findings reveal that every five years of oral contraceptive use reduces the risk of endometrial cancer by about a quarter. In high-income countries, ten years of oral contraceptive use reduces the risk of developing endometrial cancer before age 75 from 2.3 to 1.3 cases per 100 users. 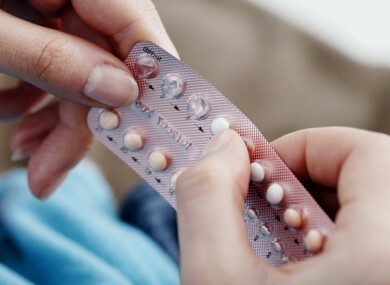 Although oestrogen doses in oral contraceptives have decreased over the years, the reduction in endometrial cancer risk was at least as great for women who used the pill during the 1980s as for those who used it in earlier decades. These results suggest that the amount of hormones in the lower-dose pills is still sufficient to reduce the incidence of endometrial cancer. The proportional risk reduction did not vary substantially by women’s reproductive history, amount of body fat, alcohol use, tobacco use or ethnicity. Email “Contraception pill reduces risk of developing womb cancer”. Feedback on “Contraception pill reduces risk of developing womb cancer”.